Saturday a friend and I went to Antiques In Old Town in Lilburn, GA and oh my gosh, what treasures there were! 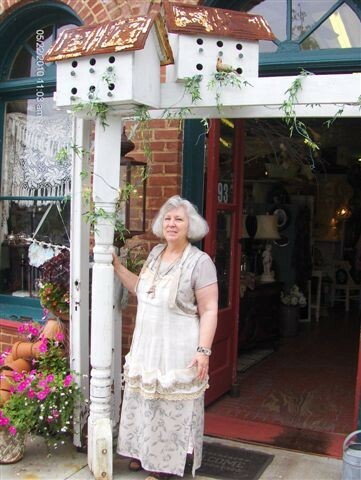 Including the owner, Rowann, who was such a charming lady. I'm telling you, I could have spent way more time (if I hadn't been hungry for lunch) and lots more money (if I'd had it) - this place is a true treasure trove of wonderfulness! Rooms and rooms and rooms of antiques, treasures, finely crafted wares, treasures, and oh yes, did I mention treasures? 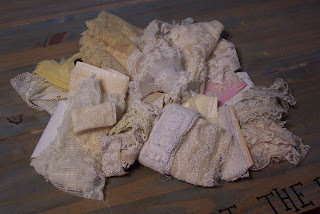 I was lucky enough to find this beautiful lace - I was down to my last little snippets and this will replenish my lace cache nicely. And this fine old collar. 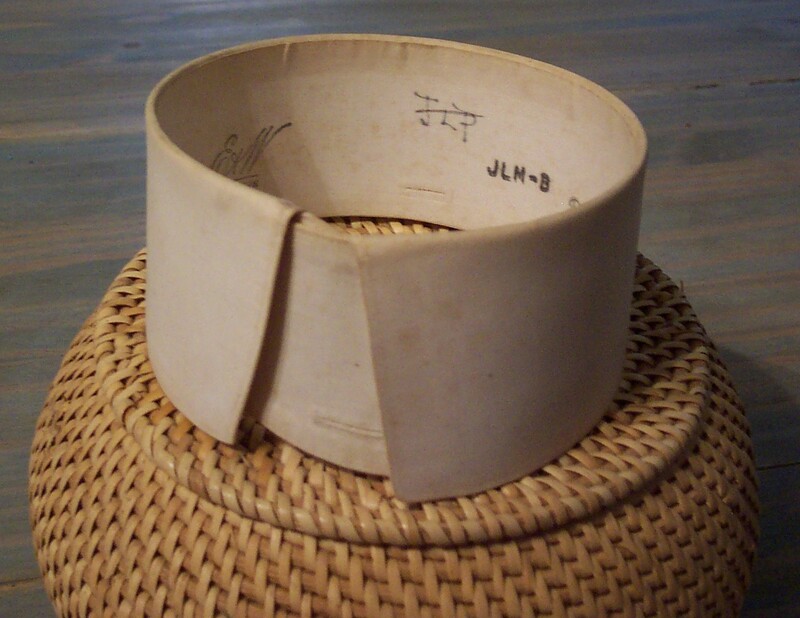 Recently I saw a great idea for re-purposing these collars so stay tuned to see what I do with this one! Rowann and her husband, Hugh, are restoring the top floor of the building as a home and we were gifted with a tour. Oh my, Rowann just HAS the decorating touch! There was a cute little guest 'room' at the end of the hall with such an inviting looking and snug bed that you just wanted to crawl right in. And the kitchen and pantry were to die for! I'm hoping we get another tour when they are finished because it's going to be a fabulous home! Then we went to lunch at this great Mexican restaurant, Taqueria Los Hermanos at Killian Hill Crossing Plaza in Lilburn, GA. Now I like Mexican but don't like spicy - so usually there isn't much I can order and I never touch the salsa and chips. Well let me tell you - I could actually eat and enjoy their salsa. And the food was so different from your 'normal run of the mill' Mexican restaurant. Really delicious! Thank you so much Gloria Primbody for the day out. I really needed it - it restored and refreshed me so much. You are a true friend! Too fun Jill! I'm loving the lace trims you found!!! Accck! Looks like you had a great time,,,and I'd love to stumble on a store like that! Hope things are well with you!!! What a glorious day! You found some cherished laces and snippets to explore as design elements. Bravo!! !